Born in Los Angeles into a musical family, Cary’s Father was an entertainer and his mother was the lead singer with the Artie Shaw band and a backup singer to Les Paul and Mary Ford. Cary began to write songs at a very early age and writes his first song (Little tiny raindrops) Little tiny raindrops falling in the snow, little tiny raindrops, I wonder where they go? The family then moved to Arizona where Cary was fortunate enough to have the pleasure of playing Guitar with the likes of Roy Clark, Buck Owens, and Waylon Jennings. The Hippie movement was in full swing and the psychedelic era drew his powerful Guitar style like a magnet. Cary joined up with emerging Rockers at Arizona State University and ended up in Seattle Washington, protesting the war in Vietnam with Bob Dylan and Pete Seeger, all the while writing songs, journaling his life experiences and beginning to build his sizable library of music. Cary did a short stint with members of the band The Tubes and eventually moved to Spokane, WA, where he Joined the newly forming band Annakonda. This is a relationship that is to span ten years and a number of successful nationwide tours. Annakondas roots are imbedded in Funk, Rock and R&B and Cary’s already well rounded skills are honed and fine tuned at major venues throughout America as Annakonda becomes one of the Countries premier touring show bands. 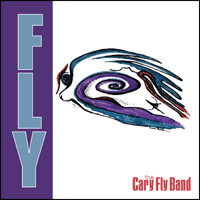 While playing at Seattle’s legendary Pier 70, Cary is asked to join the band Gabriel and signs with Epic records and Gabriel’s first album sweeps Europe and reaches number 12 in countries like Germany. But a disagreement with the producers over where the band should focus their energy leads to a falling out and leaves Cary with a bad taste for management. He returns to Spokane with his life long friend and Bass player Widly White where they form the band Loose Endz and enjoy another successful ten year run and play with Artists such as Eddie Money, Edgar Winter, Leon Russell, The Romantics, etc. 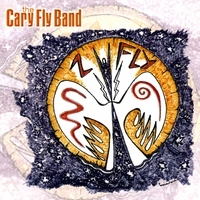 28 years later, after having touched the lives of thousands of people across America, the evolution of Cary Fly continues with a sizable library of original sound spanning everything from Country to Rock to Blues and Ballads and this writer for one just cannot wait for the next evolution of Cary Fly. Some of the other Pacific Northwest music groups represented in members of this group include: Annakonda, Looze Endz, True Colors, Gabriel, Marshall Price, Snaut, Striker (as a Seattle recording artist), The Cads of Badness , USK, Too Slim and the Taildraggers, and many other NW bands.